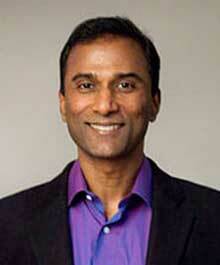 Dr. VA Shiva Ayyadurai is a scientist-technologist, entrepreneur and educator. He is the inventor of email. In 1978, while a 14-year-old high school student he invented EMAIL, the world’s first email system, which was the full-scale emulation of the interoffice paper-based mail system, for which he was awarded the first US Copyright. He holds four degrees from MIT, is a Fulbright Scholar, Lemelson-MIT Awards Finalist and Westinghouse Science Talent Honors Award recipient. 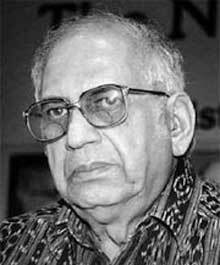 Dr. P. M. Bhargava is widely regarded as one of India’s foremost scientists and is the architect of modern biology in India. He conceived the idea of establishing the Centre for Cellular and Molecular Biology (CCMB) and saw to it that it was built, equipped and staffed to uncompromising standards. 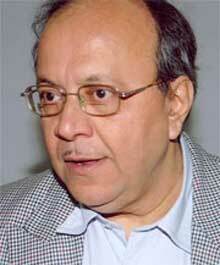 Samir K. Brahmachari is an Indian biophysicist and Director General of the Council of Scientific & Industrial Research (CSIR) and Secretary, Department of Scientific and Industrial Research (DSIR), Government of India. Dr. P. M. Bhargava, India’s Leading Biologist and founder-director of the Centre for Cellular and Molecular Biology (CCMB), who wrote a letter to the Prime Minister of India, Dr. Manmohan Singh expressng his support for Dr. VA Shiva Ayyadurai. CSIR-Tech: Path Forward – The report that got Dr. VA Shiva in trouble. VA Shiva featured on STAR News where he was interviewed about the trouble at CSIR. Visit VA Shiva’s website to learn all about this multifaceted personality. Article in Nature on VA Shiva: Report row ousts top Indian scientist. New York Times article on VA Shiva by Heather Timmons: Some Indians Find It Tough to Go Home Again. Article in Hindustan Times on VA Shiva: Hired from the US, Fired in Five Months.